Pink Lane Bridge Replacement – KC Engineering and Land Surveying, P.C. 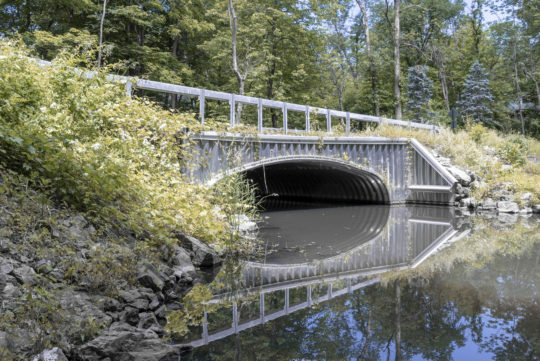 The purpose of this project was to replace a bridge on Pink Lane over Little Wappinger Creek in the Town of Milan. Past inspections had revealed that the bridge was in poor condition and needed to be replaced as quickly as possible. 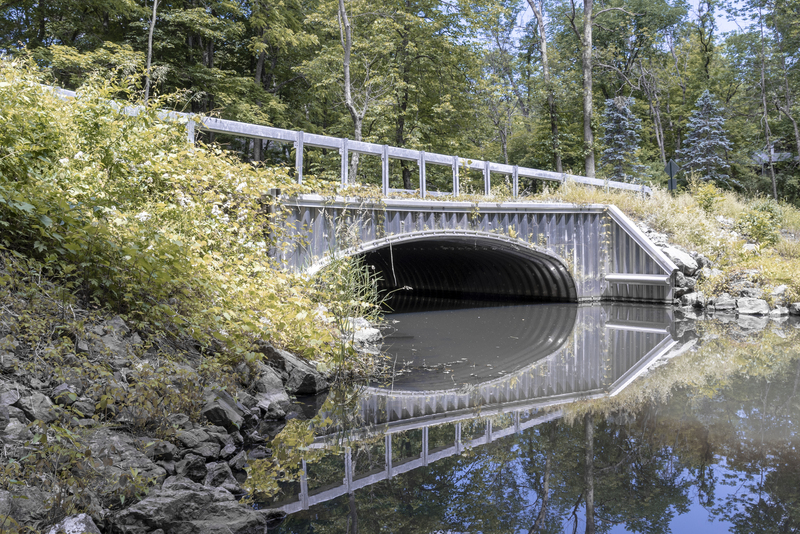 The existing bridge was a Jack Arch Bridge and was replaced with a pre-engineered Aluminum Steel Box Culvert. To build the bridge, KC needed to construct a temporary bridge downstream of the existing bridge to maintain traffic across the stream. This was accomplished by using properly sized, multiple CMP arch pipes. After the installation of the temporary bridge and access roadway, the existing structure was demolished, new concrete footings were poured, and a new aluminum box culvert was installed. 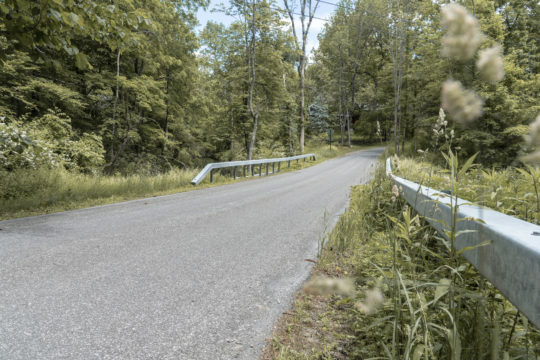 The area was then restored, the roadway repaved, and access to the road reestablished. To accomplish this task, KC had to apply for several permits from the New York State Department of Environmental Conservation, including stream disturbance and wetland disturbance permits. The other challenge was to meet existing rainfall conditions during construction. To do that, necessary coffer dams were constructed outside of and in front of the newly installed bridge.